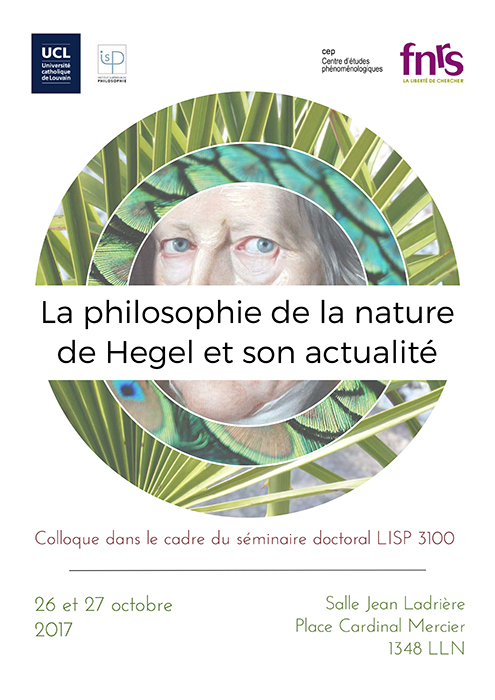 Andrea Gambarotto (Post-doc) and Olivier Depré (Professor), both members of the Center for Phenomenological Studies, are leading a conference on Hegel’s Naturphilosophie. See poster & program below. 16:45 D. Wittmann (Lyon), Peut-on parler de naturalisme hégélien ? The Center for Phenomenological Studies (CEP), together with the Department of Philosophy of the Istanbul 29 Mayis University and the Institute for Islamic Sciences and Modern Oriental Philology of the University of Bern, organizes an important conference in May 2018 on the following topic: « Philosophical Hermeneutics in the Islamicate Context/L’herméneutique philosophique en contexte islamique ». This meeting will take place at UCLouvain, Louvain-la-Neuve, Belgium. Hereunder you’ll find the CFP with names of keynote speakers programmed, argument, dates, venue, contact info, etc. Please do not hesitate to circulate this information!